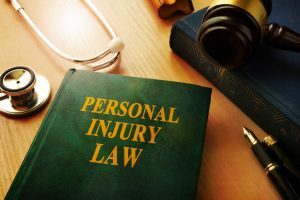 Personal injury is the broad term applied to legal cases that seek to compensate injury victims who were hurt by the careless or deliberately harmful actions of another. Traffic accidents are one of the most common sources of personal injury claims. In Oklahoma, as in other states, the law holds everyone to a standard of care, which is defined by what a reasonable person would do in similar circumstances. When an individual deviates from this standard and causes injury, the victim may seek money for medical expenses and other damages. The Oklahoma lawyers at Carr & Carr Attorneys at Law have an extensive record of success in personal injury cases. If you or a loved one was injured due to another’s negligence, please call us today at 877-392-4878 to arrange your free consultation and learn how we can help pursue the compensation you need to move forward. When a person is killed due to the negligent or intentionally harmful act of another, the victim’s surviving family members may be able to seek compensation through a wrongful death case. Injury victims often face extensive medical costs and time away from work. Economic damages, such as medical costs or lost earnings, have no limit in Oklahoma. 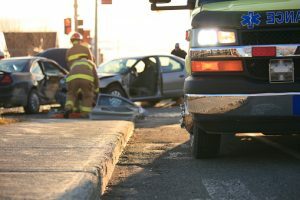 Oklahoma follows modified comparative fault laws, which can limit a victim’s ability to collect compensation if he or she is found more than 50 percent at fault for the incident that caused the injury. If a victim is found to be more than 50 percent responsible, he or she is barred from collecting any compensation. Comparative fault is used in cases in which multiple parties are involved in an accident or injury, and compensation is reduced based on the percentage of fault attributed to the victim. For example, if car accident damages equal $10,000 but the plaintiff (victim) is found to be 20 percent at fault for the accident, he or she will only be able to collect up to $8,000 in compensation. Fault is sometimes subjective, which is why it’s important for victims to consult with a personal injury lawyer about the incident that led to their injuries and the potential value of their claim. Insurance adjusters’ fault assessments may not be accurate, and initial insurance company settlement offers are often inadequate for victims’ long-term needs. 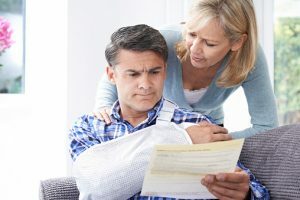 Injury victims and their families are sometimes reluctant to seek help from a lawyer because they believe they can’t afford the associated legal expenses. Carr & Carr Attorneys at Law offers free consultations, and we don’t get paid unless we successfully resolve your case.